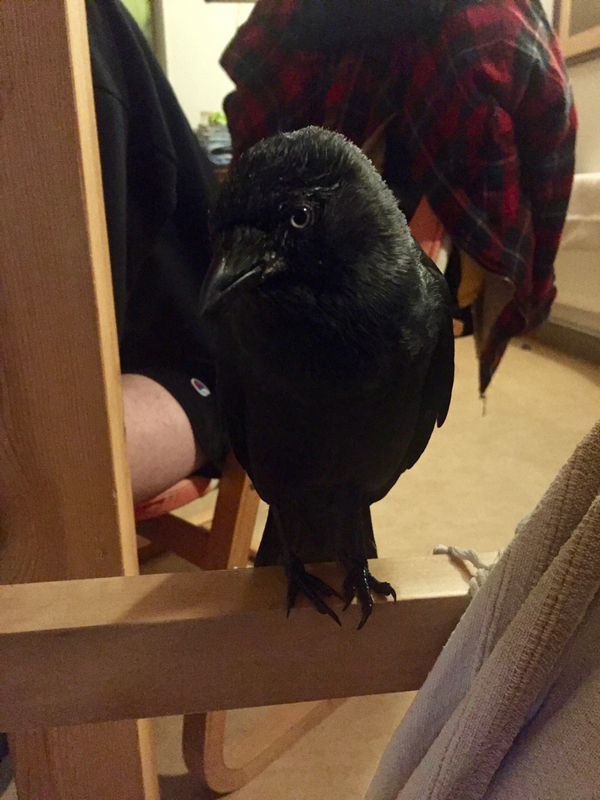 Puck adapted well to the new situation and we managed to gradually introduce her to our jackdaw community. She settled in well and became fully integrated, but always maintained her special bond to us as her foster family, even when she was on free flight. 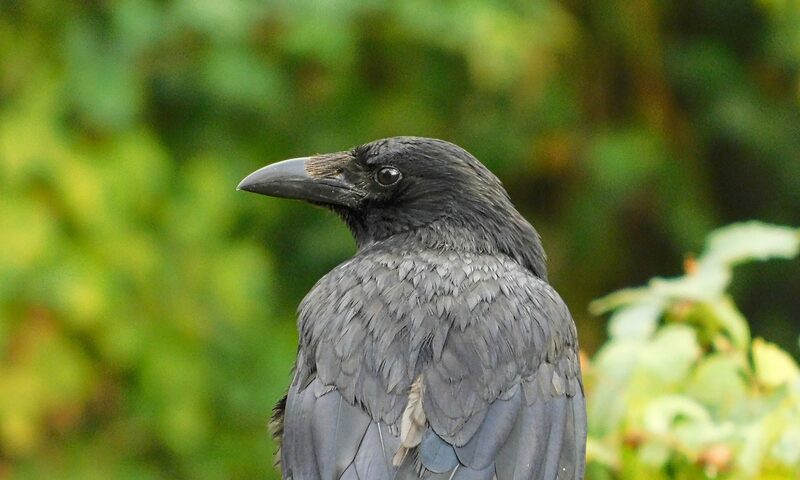 Puck found a loving partner in a wild jackdaw, but still came regularly back to pay us a visit, cherished by both sides. 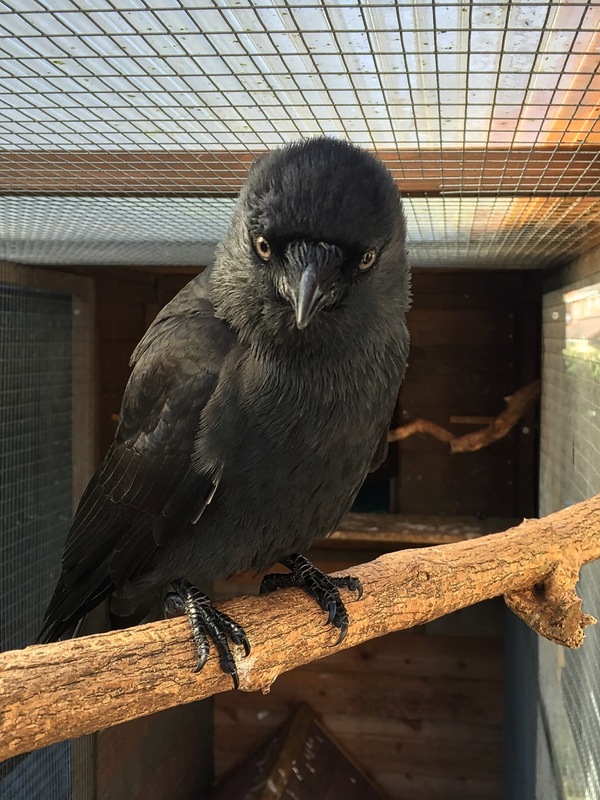 Sadly, for reasons unknown, Puck developed a neurological disorder, which made it necessary for her to give up her free flight freedom, as it was safer for her to stay permanently with us. Due to this chronic illness she had to go through a prolonged treatment phase, which stabilised her condition, but also showed that there would be no cure. 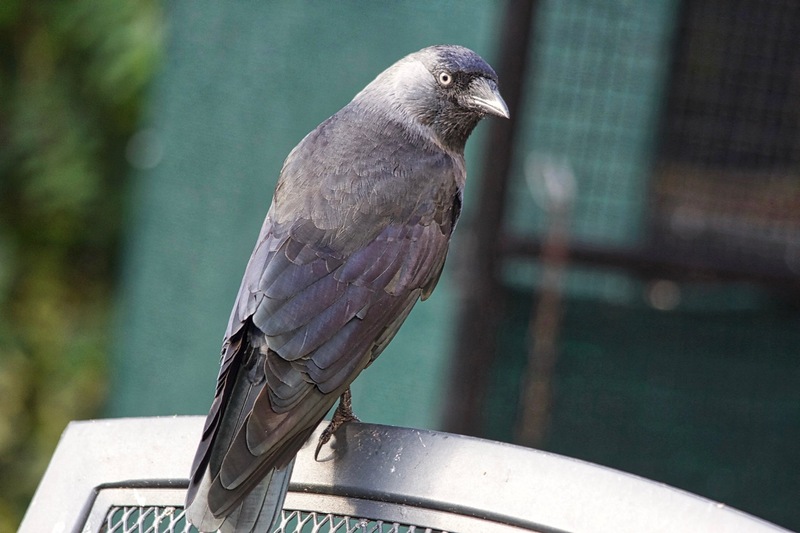 Despite all this Puck loved to spend her day time hours with other jackdaws, but always came back indoors in the evening and night to join her human family. 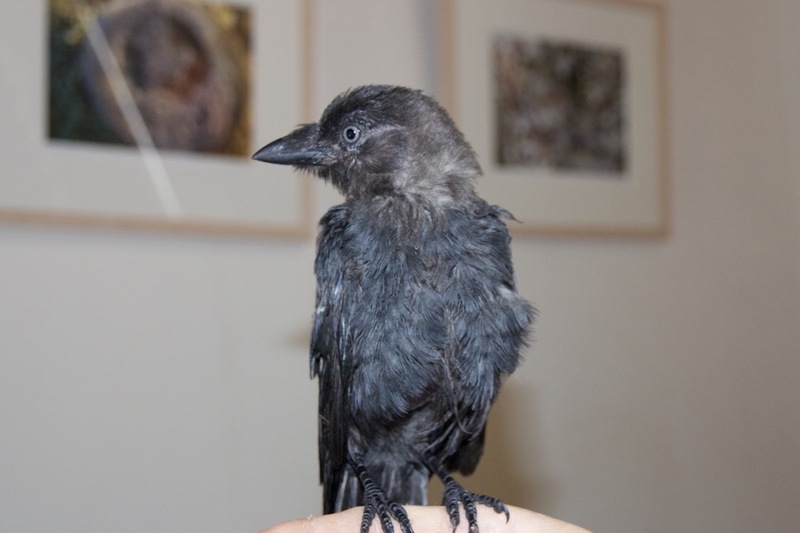 Puck managed to help many other young jackdaws, jays and even crows to settle and to find their place after the ordeal they had to go through, and which brought them to us. Puck has taught us many lessons about forgiveness, generosity, dignity, compassion, peace, trust and love. We cannot put in words how indebted we are to Puck for letting us into her live. With Puck we have lost a true friend and genuine family member. Rest in peace Puck! You will never be forgotten!